most enticing attribute that gold offers is the huge potential for price appreciation. Although prices are currently stuck in somewhat of a rut the continuation of easy money policies by the Fed and other central banks around the world, as well as the very real possibility of more turmoil in the financial space, has investors looking to make a play on this elusive metal. This article presents 50 ways to play gold. SPDR Gold Trust (GLD): An investor favorite, this product tracks physical gold bullion and is by far the biggest gold ETF in the world. With a massive average daily volume and tens of billions in assets, this fund is perfect for traders and “buy-and-hold” investors alike. The fund’s share price represents approximately 1/10th the price of one troy ounce of the yellow metal. COMEX Gold Trust (IAU): IAU is a competing product to GLD, as it offers exposure to physical bullion at an ultra-low cost of just 25 basis points. This ETF’s share price represents roughly 1/100th the price of one troy ounce of gold. Physical Swiss Gold Shares (SGOL): This fund also holds physical bullion, but only in vaults located in Switzerland for those that feel their gold holdings are safer outside of major vaults in the U.S. and London. Physical Asian Gold Shares (AGOL): Similar to SGOL, this ETF holds physical bullion in vaults located in Asia. In this particular case, the gold is stored in the booming financial center of Singapore, at the tip of Southeast Asia. Physical Precious Metal Basket Shares (GLTR): This product makes physical allocations to gold, silver, platinum, and palladium, allowing investors to hedge their gold exposure through a single ticker. Currently, the basket consists of 0.03 ounces of gold, 1.1 ounces of silver 0.004 ounces of platinum, and 0.006 ounces of palladium. Market Vectors TR Gold Miners (GDX): This ETF represents an equity spin on the precious metal as this fund holds a number of gold mining companies from all around the world. Top components include Barrick Gold, Goldcorp, and Newmont Mining. Market Vectors Junior Gold Miners ETF (GDXJ): This product is the small-cap counterpart to GDX for those looking for the higher risk/return profiles that small cap funds tend to offer. Companies in this fund companies generate at least 50% of their revenues from gold and/or silver mining, hold real property that has the potential to produce at least 50% of the company’s revenue from gold or silver mining when developed, or primarily invest in gold or silver. Pure Gold Miners ETF (GGGG): A number of popular gold mining companies also have major profits tied to the mining of other metals. This fund aims to invest only in companies that derive the vast majority of their revenues from gold. Top holdings in this product include Randgold Resources, Allied Nevada Gold Corp, and El Dorado Gold. Gold Explorers ETF (GLDX): As opposed to general mining companies, this product tracks firms who are active as explorers for the metal. The underlying securities in this ETF are literally hoping to strike gold. The fund primarily consists of mid and small cap firms as close to three fourths of the fund’s total assets are locked up in small caps. E-TRACS UBS Bloomberg CMCI Gold ETN (UBG): This fund offers exposure to a basket of futures contracts maturing anywhere from three months to three years from now. The fund has an automated roll process to maintain a consistent allocation to futures. Gold Trendpilot ETN (TBAR): In a rather unique strategy, this product shifts exposure between gold and 3-month Treasury bills depending on a historical moving average basis, creating a one-of-a-kind strategy for investors to get behind. 2x Gold Bull/S&P 500 Bear (FSG): Another ETF rarity, FSG tracks the spread between the daily returns of gold and U.S. equities, as represented by the S&P 500. This method can often produce wild swings in a short period of time so make sure to be careful. DB Gold Double Long ETN (DGP): Utilizing a futures-based strategy, this product offers a 2X leveraged exposure for investors wishing to make a heavy bet on gold’s performance. The fund also invests some of its assets in Treasury bills in order to help juice the product’s overall return. DB Gold Short ETN (DGZ): This ETF is an inverse sister fund of DGP, providing daily returns of -100% of gold. This fund also collateralizes its holdings with a purchase of three month U.S. Treasury bills. DB Gold Double Short ETN (DZZ): This fund is the -2X counterpart to DGP. Ultra Gold (UGL): Another 2X leveraged product, UGL aims to provide a daily-resetting 200% leverage on the price of gold bullion. UltraShort Gold (GLL): This ETF is the -2X cousin to UGL. Barrick Gold Corporation (ABX): One of the biggest gold miners in the world, Barrick is stationed in Toronto. Note that around 20% of its profits are derived from copper-based operations. Newmont Mining Corp. (NEM): A close rival to Barrick, Newmont is less popular, but offers an enticing dividend yield for value investors. The company also has vast operations include nearly 27,500 square miles of land across nearly a half dozen countries. Goldcorp Inc. (GG): This firm is comparable in size and popularity to NEM. The firm is stationed in Vancouver and has been around since 1954, producing not only gold, but silver, copper, lead, and zinc as well. Kinross Gold Corporation (KGC): Kinross offers a competitively cheap share price, allowing investors of all shapes and sizes to make a play on this massive miner. The company has proven and probable mineral reserves of about 62.4 million ounces of gold, and even more in silver and copper. AngloGold Ashanti Ltd. (AU): This company is stationed in Johannesburg, South Africa and is one of the largest gold producers with operations across the globe. In fact, the company has an alliance with Thani Dubai Mining Limited to develop and explore mines across North Africa and the Middle East, possibly diversifying their pipeline even more. Yamana Gold, Inc. (AUY): This stock offers itself as one of the smaller miners for those looking for more growth potential. The fund also pays out a nice dividend to its shareholders, currently at 1.2%. Eldorado Gold Corp Ltd. (EGO): This company also falls on the smaller side of market capitalization and daily volume, making it a good growth opportunity. The firm also has a lot of emerging market exposure with mines located in regions such as China, Brazil, and Turkey. Allied Nevada Gold Corp Allied (ANV): This relatively small stock offers the rare exposure of a gold miner based within U.S. borders. The vast majority of this is in Nevada where the company owns just over 61,000 acres of mineral rights. Gold Fields Ltd. (GFI): This stock comes in as a mid cap firm with a strong dividend yield for those looking for a steady incomes stream. The South African firm has total attributable gold equivalent mineral reserves of 78 million ounces and mineral resources of 281 million ounces, suggesting it will be able to produce for years to come. Harmony Gold Mining Co. Ltd (HMY): Harmony is one of the largest gold miners in South Africa. In addition to its South Africa holdings, the company also does a great deal of business in Papua New Guinea as well. Rangold Resources Limited (GOLD): This company is located in Jersey, the British Crown Dependency island just off the coast of France. This is likely done for tax reasons as the firm’s main operations are in western and central Africa, specifically Mali and Senegal among others. Royal Gold, Inc. (RGLD): This company was founded in the early 90′s and is based in Denver, Colorado. RGLD doesn’t do a lot of actual mining, instead the company invests in royalty interests in various mining operations from around the world, gaining exposure to the precious metal that way. New Gold Inc. (NGD): Along with mining gold, this firm also has significant operations in silver and copper, which may make for an interesting play to spread exposure across several metals. This Canadian company has a portfolio of miners that stretches across the Americas with mines in the U.S., Mexico, and Chile. Agnico-Eagle Mines Limited (AEM): This stock may be a great long-term play as it has payed a cash dividend for nearly 30 consecutive years. The firm is also one of the more diversified on the list with mines in Canada, Finland, Mexico and a variety of smaller operations in a number of other countries as well. International Tower Hill Mines Ltd. (THM): This firm is a small-cap gold explorer for those wishing to diversify from just miners in their portfolio. Investors should note that the firm has 115 mining claims across a small district in Alaska, hoping to find gold in this region of the world. Rubicon Minerals Corporation (RBY): Another gold explorer, this firm also has significant operations in other metals to diversify exposure. Its biggest base of operations are in Ontario, Canada, and Alaska. Bars: These are meant only for big investors in the precious metal and are the mainstays of central banks around the world. Standard gold bars are representative of 400 troy ounces; if gold was trading at $1,500/oz. that would make just one of these bars worth $600,000. Keep in mind that for those with money burning a hole in their pocket, there are a number of bars that are far bigger than the standard size, though the come with a hefty price tag. GC Gold: These futures, which are also optionable, are the most popular contracts for gold exposure, as they range from anywhere between front-month maturities all the way to several years in advance. GVF Gold Volatility Index: These future contracts deal with the volatility of gold, which can be a big mover as gold is known to exhibit strong movements on a daily basis. These contracts are also optionable. MGC E-micro Gold: These contracts represent a much smaller amount of gold than other contracts. While GC Gold contracts represent 100 ounces of gold, these futures (which are not optionable) represent just 10 troy ounces. QO miNY Gold: These contracts, which are not optionable, offer exposure to 50 troy ounces, making for a nice middle ground for investors looking for something in between the aforementioned futures. First Eagle Gold A (SGGDX): This fund is styled in a large cap growth fashion and was able to rake in the coveted five-star rating from Morningstar, as its historical returns have been stronger than most in the category. Invesco Gold & Precious Metals Investor (FGLDX): Sporting an impressive dividend yield, this product has offered strong returns over the last decade. A minimum investment of $1,000 is required. American Century Global Gold Inv (BGEIX): This fund features similar exposure to FGLDX but offers a robust dividend yield of nearly 5.8%. Minimum investment for this fund is set at $2,500. DWS Gold & Precious Metals A (SGDAX): This small cap product offers both a healthy dividend yield, and a small cap risk/return profile for investors seeking to stray away from large cap holdings. Wells Fargo Advantage Precious Metals B (EKWBX): This product offers equity exposure to more than just gold for investors looking to make a wide-net play on the precious metals space. Fidelity Select Gold (FSAGX): One of the larger products on the mutual list, this fund offers an extremely competitive expense ratio of just 89 basis points, making it a significantly cheaper option than a number of competing products. 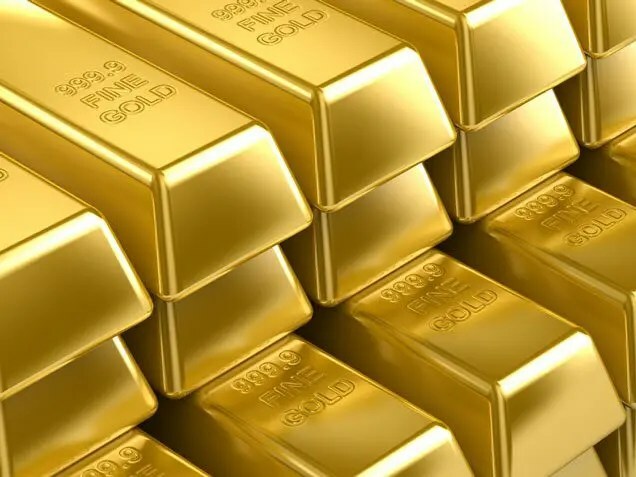 Franklin Gold and Precious Metals A (FKRCX): Focusing on the mid-cap sector, this product offers a jaw-dropping dividend yield of just under 11%, creating a massive income stream for gold investors. GAMCO Gold AAA (GOLDX): This product features a market cap of less than $700 billion and a rather hefty fee structure of 144 basis points. Balancing that out, its solid dividend yield of 3.3% is certainly a draw for many investors. OCM Gold Investor (OCMGX): For investors looking for a good small cap product, this may be a good bet. Note that the risks and fees associated with this product will be significantly higher than competing large cap funds, but the potential returns make it an enticing opportunity. Oppenheimer Gold & Special Minerals A (OPGSX): With assets at just about $5 billion, this product pays out a massive 8.9% dividend yield for its investors. ProFunds Precious Metals UltraSector Inv (PMPIX): This precious metals product has had a rough time over the past few years. It is one of the smallest fund in the space, but for those who buy in to the future of small cap funds, now may be a great time to buy in at a discount. Tocqueville Gold (TGLDX): Earning a four-star mark from Morningstar, this product has ooutperformed the majority of the precious metals category. Its only drawback come from fees of 134 basis points per year.